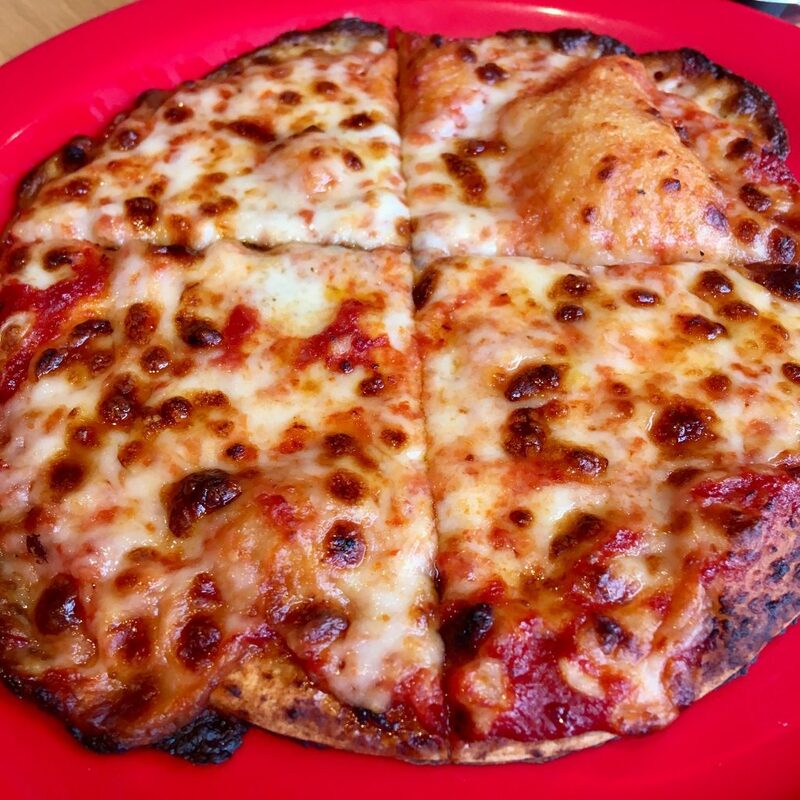 Have you been to Pizza Hut lately? We were invited* a while back so Lucas and I took my Dad for some dinner after we visited Sea Life in Blackpool. We went to the one on Church Street near Blackpool Tower. 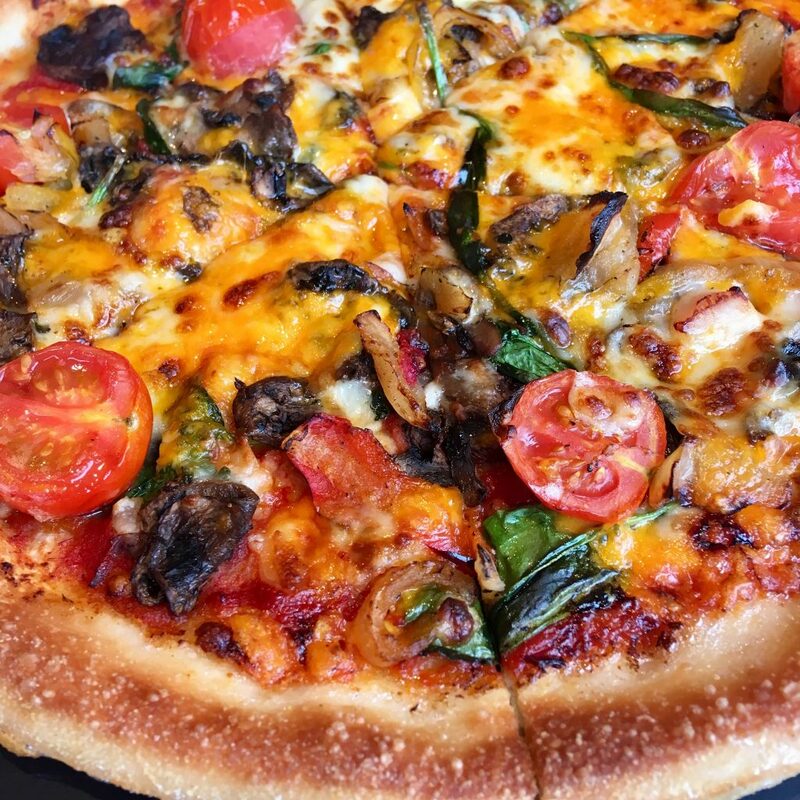 It’s been so long since I last visited a Pizza Hut and I don’t think I have ever actually looked at the menu before as I used to just get the unlimited lunch buffet where you go up and help yourself to pizza, pasta and salad. This time though we had a look at the menu and they have a lot to offer from starters and sides to pastas, a huge selection of pizzas and deserts. My Dad ordered BBQ chicken wings to start and then had an epic meat feast pizza. I had the epic veggie pizza and Lucas had the children’s cheese and tomato pizza. We also ordered some fries on the side and where told we could pop to the salad bar when we wanted. 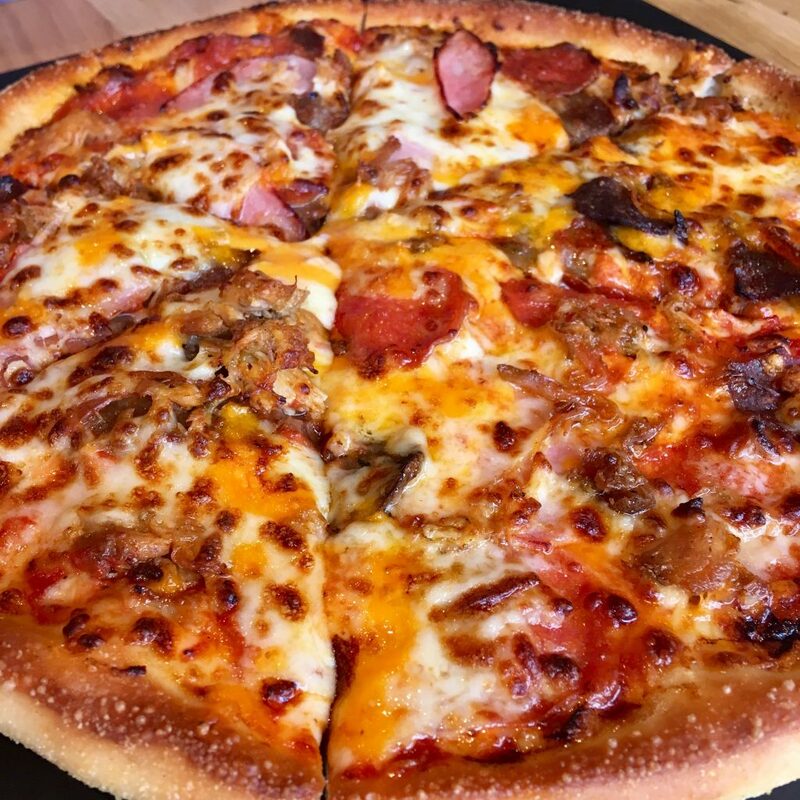 The epic pizzas are a new collection of pizzas using four all time favourite pizzas including meat feast, veggie, Hawaiian and pepperoni but they have been shaken up and remixed for a maximum flavour boost. They all start off with a triple cheese blend of Mozzarella, Monterey Jack and Red Leicester before having premium toppings added. My Dad’s meat feast epic included shaved steak, paprika pulled chicken, pepperoni and ham. My epic veggie included flame roasted peppers and onions, garlic mushrooms, cherry tomatoes and spinach. My pizza was immense, I loved all the flavour on it and I will definitely be getting this next time rather returning to the pizza bar. 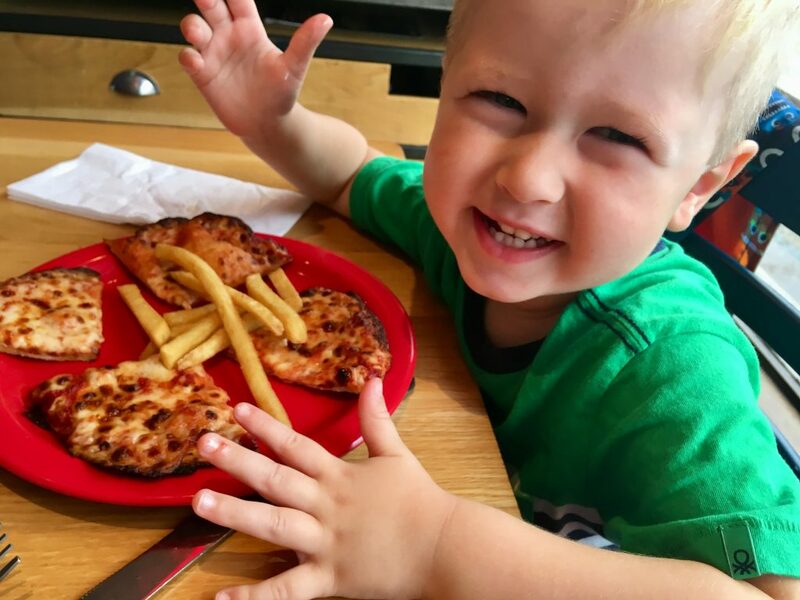 My Dad enjoyed his meal but thought his pizza was a little too salty and Lucas enjoyed the chips but wasn’t keen on the pizza which is very unusual for him. I tried Lucas’ pizza and it was a little too greasy and didn’t taste great so I can see why he didn’t want it. Saying this though, I was really impressed with the menu so I would definitely return to Pizza Hut but not this one as the service wasn’t great either. Lucas finished his meal off with a trip to the ice cream factory which he was obviously delighted with. 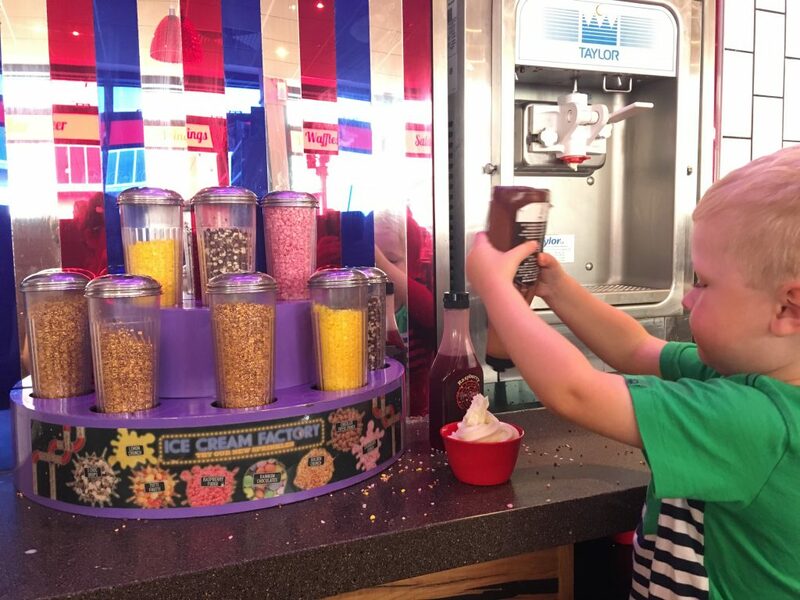 He loved being able to go and get his own ice cream before choosing from the sauces and sprinkles. 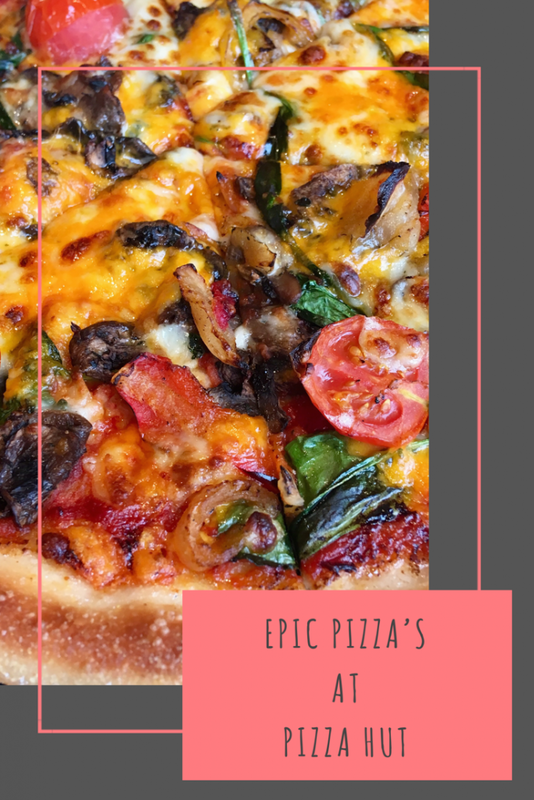 I like the toppings on that pizza, it certainly looked and sounded epic, and the different choices great if you are sharing with others too. I need to try out Pizza Hut again I think! We love pizza hut we visited one when we went to a theme park last week. Great food but quite pricey! We like to share… also protects the waistband. 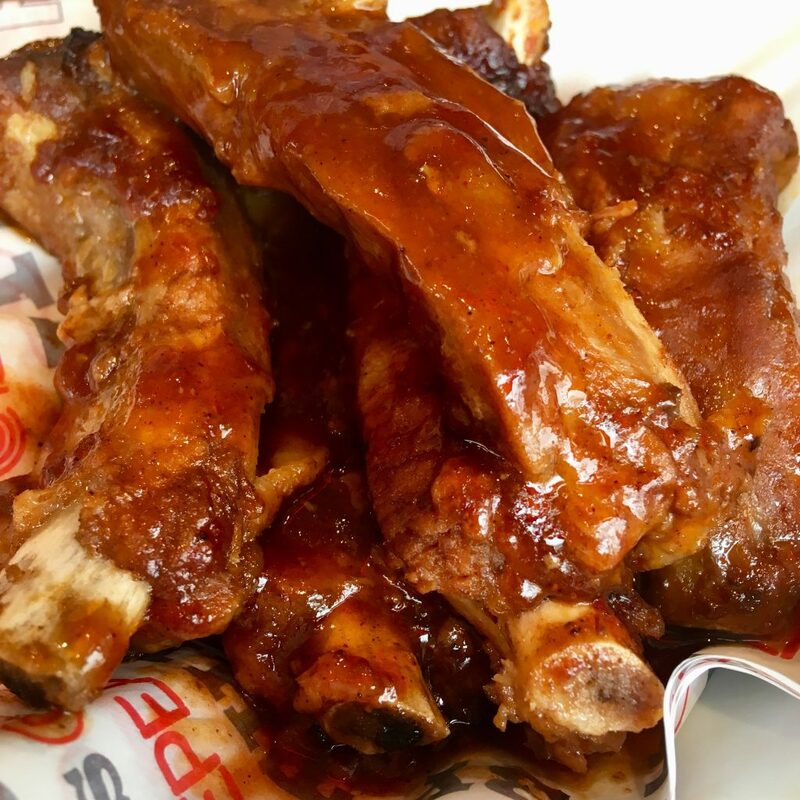 I love the lunch buffets at Pizza Hut – they are such good value for money! OMG that pizza looks mouth watering delicious. Wow that looks fantastic. Now I want pizza. Ooh that looks so good! 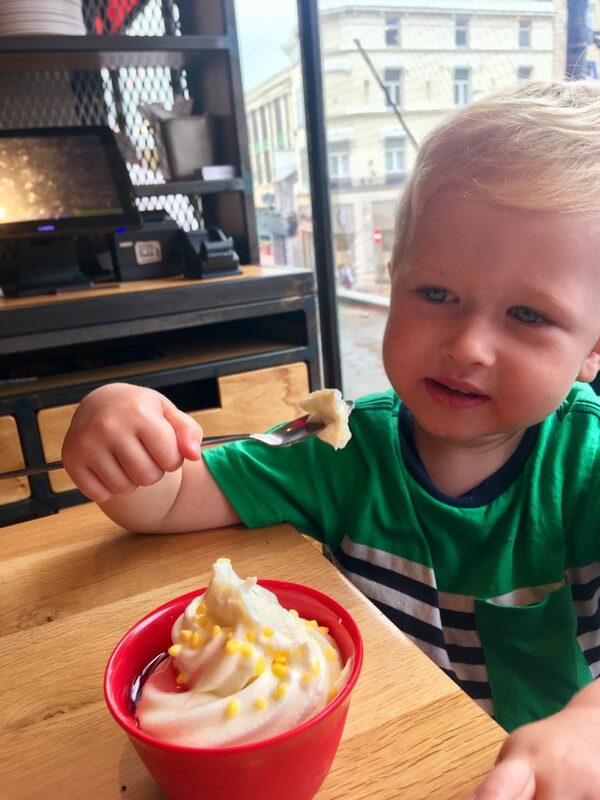 Love Pizza Hut, it’s so easy for families and their ice cream stations are fab!